Irrespective of the type of malt chosen as the base malt for a historic beer recreation (Chevalier, Plumage Archer, Maris Otter, and whether drum- or floor-malted, etc.) the question arises whether modern kilning methods will match those in place in Victorian Britain, indeed even in Edwardian England. As I’ve mentioned earlier, this is just one of many variables to consider in seeking to create a historic beer product. No one variable (within reason) is decisive: no one variable, if not addressed in optimum fashion that is, necessarily means a historic beer is not legitimate. Even if one used all Memel or English oak for fermentation vessels and casks, used mixed yeast cultures, used slacked lime to clean wood vessels vs. modern sanitation agents, used only period hops, etc., still one is making a beer today, with materials grown or assembled today that may or may not resemble those of the late 1800s. But that’s okay, as back then there were thousands of breweries, as there are again today in Britain and the U.S. Beer would have varied in taste by region and even brewery, not every brewery made something identical to another even in the same town. There is lore confirming this even for an eminently “municipal” product such as London porter. I believe most of the recent recreations, including the one I was involved in recently for an 1870 AK bitter, resembled some typical beer of that class then. That said, the more one can align the historical factors to modern practice, the closer to an ideal one will get, hopefully. To do that, for beers made before WW I and possibly for some decades after, we must recall that much of kilning involved the “products of combustion” going through the malt. I mean for all malt, not just brown malt that was blown or finished with billets of oak, beech, or other hard wood. And those products of combustion were generated by coal or by coke, a form of smokeless coal of which the best was called oven coke. 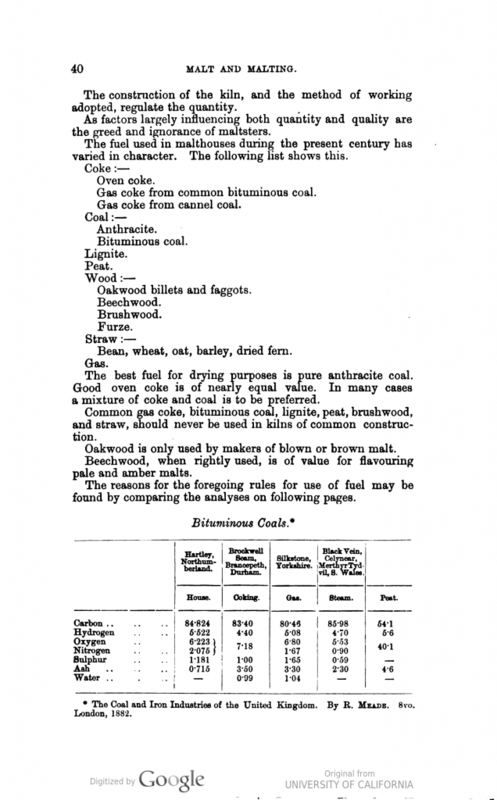 I discussed recently that in 1874 British beer, including certainly pale ale, frequently had a “cooked” taste from the impact of burning coal and coke on the kilned malt. See this post that cited remarks to that effect by early brewing scientist and industry consultant Dr. Charles Graham. Graham was contrasting this taste to the “raw” taste imparted by air-dried malt beer he encountered in Germany. Needless to say, all modern kilning is indirect or clean in the sense that while heated air is circulated through the malt, it does not have detectable odour from the energy source. Whatever source is used, electricity, oil, natural gas, etc., the heating of the air is achieved indirectly. The malt produced in this sense is roughly comparable to air-dried malt. Graham made clear some kilns in his time used indirect heating, and increasingly these systems would be improved, but most malting kilns in 1874 operated on the old direct-heating basis with the fuel placed on a brazier or grate that sent “products of combustion” up in the kiln chambers to penetrate the malt, sometimes through pipes controlled by valves. The same was still true in 1904. We know this because E.S. Beaven, associated for decades with Warminster maltings, confirmed in an article that year that products of combustion affected flavour. In Fuel Consumption in Malt Kilns published in the Journal of the Institute of Brewing, Beaven states at p. 478 that he would not make a change from anthracite and similar fuels, for fear of a change in palate. He states somewhat coyly that he does not know exactly why beer has the taste it does, and suggests that whisky-makers similarly don’t really know why Irish whiskey differs from Scots whisky, but he does not recommend a change to the kind of system tested by Mr. Evans (read the page) where air-dried malt was used and the “palate” changed. The coyness probably resulted from early health concerns about using coal to kiln green barley malt: sulphur and especially arsenic were flagged as potential health hazards, and politicians were starting to take notice and hold hearings. One way to deal with this and retain use of coal was to burn off the sulphur and arsenic first, then let the coal heat dry the malt. The evidence under this “dual” coal-fired system was no difference of palate was detected, i.e., the arsenic didn’t give the beer a certain something. Even with some possible trade exaggeration, the netted position was, unless you had an indirect heating kiln – and Beaven makes clear his article did not deal with those kilns, probably due to their small number – direct heat kilning with coal would not end soon. As a producer of malt from a noted maltster (it exists to this day) Beaven knew the importance of not changing process where the beer might change in character. Whether or not, in other words, coal-fired kilning produced the “best” palate, it was the palate the British drinker knew, and enough said. Beaven’s article mostly deals with how to reduce coal expenditure when kilning malt. Indeed it includes some impressive math and early cost-benefit analyses. Palate is not addressed, either for the type of fuel used or the type of barley, except on p. 478 as noted but those remarks are significant. Should recreationists of 19th century English beers give their Chevalier or other base malt a quick finish on a coal or coke fire? I would say yes, but check health regulations first. Yet, if you don’t do it as most recreations do not to my knowledge, as I stated at the outset, the game is far from up. A recreation is a cultural concept, to borrow a term I read in a 2016 blogpost by a gentleman I respect a lot who favours The Campaign for Real Ale (CAMRA) keeping its cask-conditioning remit. A brewing recreation will always be a cultural concept no matter what pains are taken to attain authenticity. Note re image: image was sourced from Pinterest, here. All intellectual property therein belongs solely to its lawful owner, as applicable. Image used for educational and historical purposes. All feedback welcomed. Is the Brewing Star of Jewish Origin? Periodically, the question comes up on the origins of the six-pointed brewers’ star. It is familiar for centuries in beer iconography and design, while at the same time evoking for many the Jewish Star of David. The hexagram is not exclusive to Jewry but has long been associated with it, with roots at least to the early common era. The star is sometimes rendered as five-pointed, for example in Texas Lone Star’s beer label, but classically was six-pointed, sometimes with two interlocking triangles as above. Initially, the star predominated in Bavaria and the Czech lands. With the spread of bottom-fermentation (lager) it was commonly found in, or associated with, breweries as far afield as St. Louis and Strasbourg. The most common explanation assigns the star to a system of alchemy. The premier modern consumer beer writer, Michael Jackson (1942-2007) supported this theory in his The World Guide to Beer (1977). For a recent exposition of this view see this page from the Museum of Beer and Brewing in Milwaukee. This approach focuses on primal elements such as earth, fire, and water, with the star linking them as a symbol of the brewer’s art. Malt is from barley, grown in soil, the drained mash is boiled (water, fire), and so on. It seems to many, and did to me for a long time, counter-intuitive that Jews could have anything to do with the brewing star, and hence that alchemy must explain its brewing use. For one thing, Jews historically have played a small role in world brewing, whether in German lands or elsewhere. They had some role in hop factoring in Germany, and in the retailing of beer and other alcohol there and in other countries. They also made a marked contribution to brewing science as I’ve discussed. Illustrative figures include Anton Schwarz, Max Henius, the Wallerstein brothers, and Joseph Owades (all U.S.-based). To be sure, some 1800s breweries were owned in whole or in part by Jews. Examples include Ottakringer in Vienna (the Kuffner family) and Rheingold in Brooklyn (the Liebmanns). It seems Lowenbrau in Munich had partial Jewish ownership before the Nazi era. But in most countries the Jewish role in beer-making was minimal. So how could the brewing star connect to them? Another reason for the lack of apparent connection, and I’ll be frank here, is the history of the Jews in the German lands is often dolorous to an extreme. Why would brewing, a German cultural heritage par excellence, take as a symbol one belonging to the Jews, persecuted off and on for centuries by ethnic Germans? 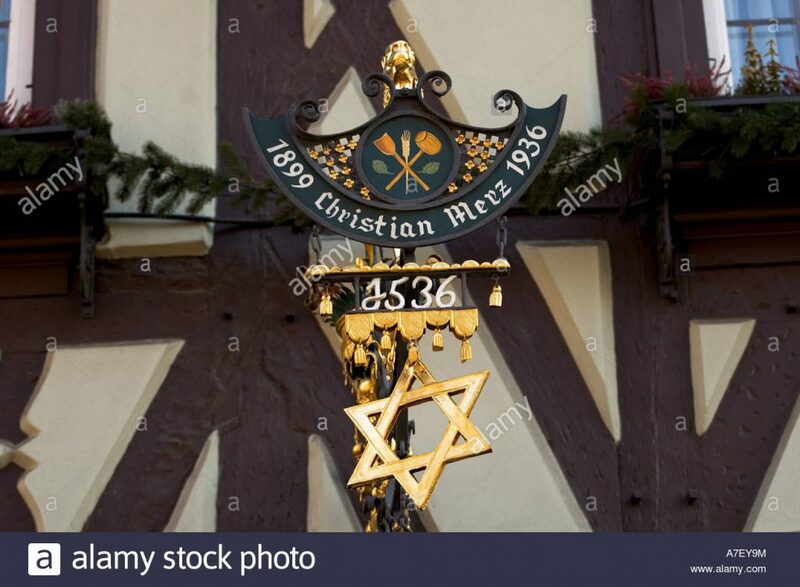 Nonetheless, a German scholar-brewer, Dr. Matthias Trum of Heller Trum Brewery in Bamberg, has argued in a 2002 doctoral thesis that Jews may well have originated the brewer’s star. Heller Trum is known internationally for its fine range of smoked beer (as the type is called) under the Schlenkerla label. You can read a summary of his thesis here, on the Schlenkerla website. Note especially the Conclusion. The language is somewhat stilted and ungrammatical but this is due simply to an awkward translation from German. The argument goes this way: Early Jewish communities in Bavaria and Prague used the symbol as a sign of protection for their community. Hence, the star was more a secular than a religious/Old Testament symbol. A modern instance of community defence symbolism is the star on the State of Israel’s flag. Trum shows that the star symbol appeared on early flags of Jewish militias in Prague, and on Jewish premises as a sign, to ward off bad omens. Fire was an especial danger for wooden structures, and was a well-known brewing risk for centuries. What was a common symbol in Jewish establishments may, he suggests, have spread to the German community at large and survived in brewery design, with people forgetting finally the origins. Hence, he rejects alchemy as a plausible source for the star. Dr. Trum may well be right, and in any case has made a thoughtful and interesting argument, one that needs to be weighed with other possible explanations. Note re image: The image above is an Alamy stock image, sourced here. Image is used for educational and historical purposes. All intellectual property therein belongs to the lawful owner, as applicable. All feedback welcomed. Beer and Seafood: Match Made in Heaven? The association of beer with crustaceans or fish is traditional. I’ll give two instances here, bracketing a period of approximately 100 years. I’ll confine the look to the Anglo-American world, but I’ve shown earlier that the coastal northwest of France has a repertoire of fish dishes with beer as an ingredient or to pair with beer. Of course, Belgium parallels the association on its coast, and the Dutch eat their new herring of the season with Heineken and other Dutch beers. The Germans cook herring over smouldering fires at the Octoberfest, and the Scandinavians enjoy their countless pickled and smoked fish with beer as well. In the North American and British context, this inheritance is somewhat withered at this time. Still, the association was well-remembered into the 1990s, and beer writers felt obliged to record recipes, or offer pairing suggestions, in the food section of their books. This echoed popular events such as the Royal Canadian Legion’s beer and oyster parties. I doubt these are still held or if they are, they don’t have the profile they once did as the Legion itself is reduced in influence. The tradition was always regional to a degree, especially on the northeast coast of North America, where fish was easily available and the cultural memories of Britain still strong. This explained the tradition of serving musty ale with broiled lobster in New England that I recorded in my study of musty ale published last year in Brewery History. And so, until recently in the broader society you could count on finding easily a recipe for pan roast of oysters with beer, a chowder with beer, Finnan Haddock freshened in beer, all that class of eating. Today, the food scene is diverse, with international, fusion, and “invented” cuisines presenting countless options. The Dickensian beer and oysters is hard to decipher in the cultural acquis. But is stout really a classic accompaniment to oysters, or other seafood, in a gastronomic sense? Beer authority Michael Jackson of course drew attention to the pairing in his early books, and later writers ran with it. One reads various rationales, for example, in Victorian England porter and oysters were commonly available in the London estuary. Hence the idea to pair them, and the pairing was felicitous. But lots of things were available in London to eat that were cheap. Tripe, say. 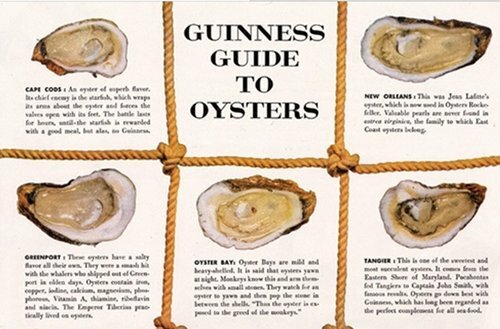 Yet oysters were elevated to a special role as black beer’s esteemed companion. The trans-Atlantic food sage, Cassell’s, noted that a “thin light wine like Chablis” was the best accompaniment to oysters due to its cleansing power, it swept the strong taste from the mouth, see here. Cassell’s stated that beer was often formerly used at table (in general, in Britain that is), but was replaced by claret when its cost became acceptable. Cassell’s could have reserved a special place for porter-and-oysters, but didn’t. Of course that doesn’t settle the question, necessarily. I think the reason fish and seafood go together is not that the tastes are complementary, but fish is a light food. Beer has bulk and weight. To eat an airy, non-solid thing with a filling, caloric drink therefore makes sense. That is the real reason for the pairing, I think. So let’s look at two instances of beer and seafood. The first, from 1843, is from William Makepeace Thackeray’s The Irish Sketch Book. 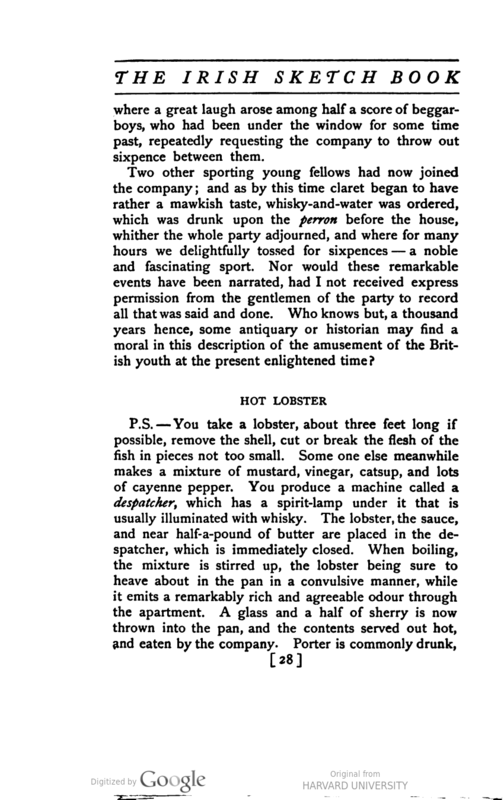 He gives a recipe to cook a lobster, and advises to pair it with porter, followed by whiskey-punch. The recipe is very rich, which would dissuade many from making it today, although one can lighten the sauce in different ways and achieve a similar effect. Of porter, its return to beery prominence since the 1970s is such that you can find it almost anywhere. But a three-foot lobster? That will be harder. Such outsize creatures occasionally still emerge from Neptune’s domain, see this story out of Devon some years ago. Most stories on the modern monsters emphasize that they are too old to eat. This didn’t dissuade Thackeray’s convives. All the butter, bottled sauces, pepper, and Cayenne probably helped the stringy bits go down, capped by good Irish porter and finally, the native whiskey. Today, we should buy a few normal-size creatures and proceed from there. Now there’s a great expression, the “deep psychology” between fish and beer. No full-length book could put it better than a prewar trade publication did. In my two-part post a couple of years ago discussing Walter B. Leonard’s reminiscences of 1870s New York small town life including running a bar and hotel, I linked to his first, 1932 newspaper account. It was supplemented by a much longer, multi-part series published in the late 1940s, as detailed in my posts. Leonard was a retired showman, having spent years in make-up under lights entertaining Americans far and wide, mostly in small towns of the type that nourished his youth. Below is an extract from the 1932 story, and immediately one sees the colour and verve in his memoir. The prose has a natural energy that parallels the pace and style he must have exhibited in his years on the show circuit. As I said earlier, a television or cable series could easily be created around his descriptions a la The Waltons, the 1970s American tv series that offered a rose-coloured (perhaps) version of American pioneer life but was wildly popular here. I remember when the first lager beer was introduced into the North Country. The young men seemed to favor this innovation, as it was considered more aristocratic than the plebeian beer or ale; however the older imbibers did not look with favor on this newfangled beverage, but continued to drink the old line of wet goods. Champagne was never kept or called for, and but few fancy bottled goods. Occasionally father would order a case or two of Guinnesse’s Dublin Stout ale which was sold for medicinal purposes. My sisters were always anxious to get these bottles which were heavy glazed earthenware. These they would cover with pretty colored pictures of flowers and the like and place them on their bureaus with bouquets in them. Occasionally a whisky agent would present father with some small, flat decanters containing brandy imported from Spain. These had a little artistic handle at the side and a beautiful many colored label representing either a bull fight or a Spanish senoreta dancing to the music of a guitar played by an attractive senor in short pants and bolero. Occasionally, too, a large glass demijohn substantially covered with wickerwork, containing West India rum, would be shipped to my father. All of these rare commodities were of much interest to me as an imaginative boy, coming as they did from the far off romantic countries. You can read the full 1932 story here, simply magnify and it comes up in perfect resolution. 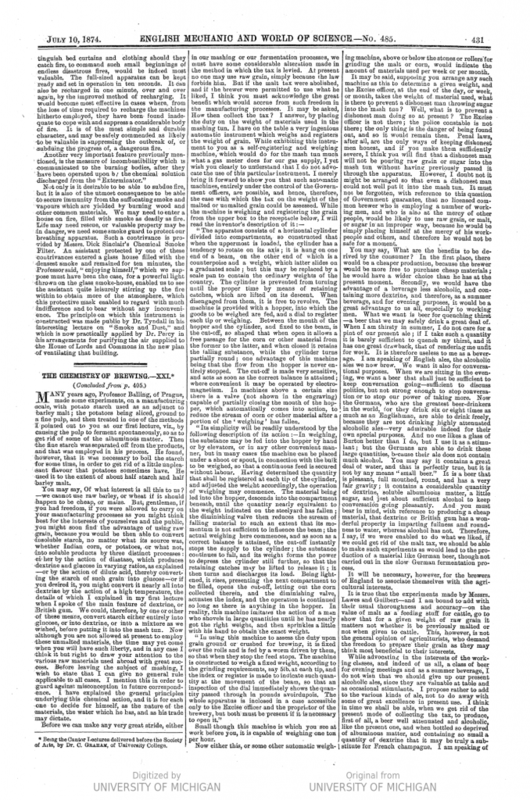 It was published that year in the Republican-Journal of Ogdensburg, NY. While by the 1860s lager was selling in huge quantities in Manhattan and boroughs, it took time for the German drink to reach the northern fringe of New York State, the “North Country”. I don’t know if that expression is still used, but into the 1970s it was: I recall it on American tv (WPTZ from Plattsburgh!) and seeing it in local advertising and newspapers when visiting there. Leonard lived in Morley, far upstate and very near Canada although Canada might as well have been the far side of the moon – little mention of it appears in Leonard’s account. Some would say not much has changed, regarding the Americans’ taking notice of us I mean. At bottom we’re much the same people, with similar roots in both population and culture. It’s like the cousin you never call but should, they’re still in the family. Leonard was my kind of guy, anyway. 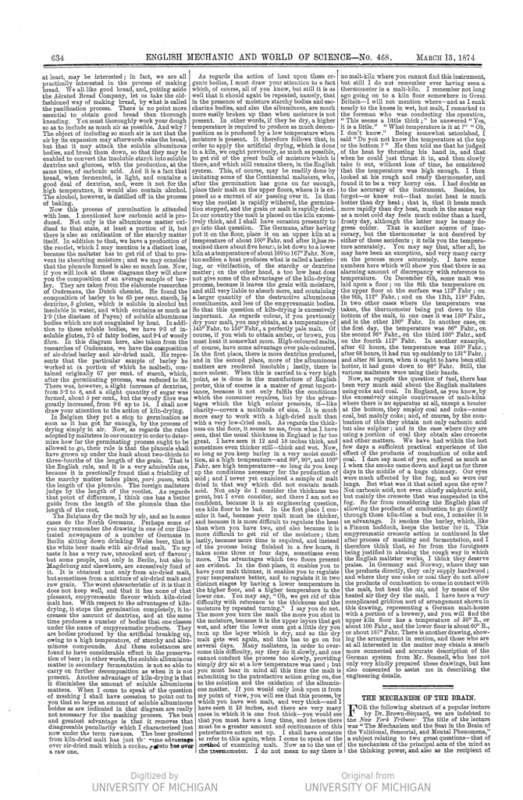 Note: The print extract included above is from New York State Historic Newspapers. 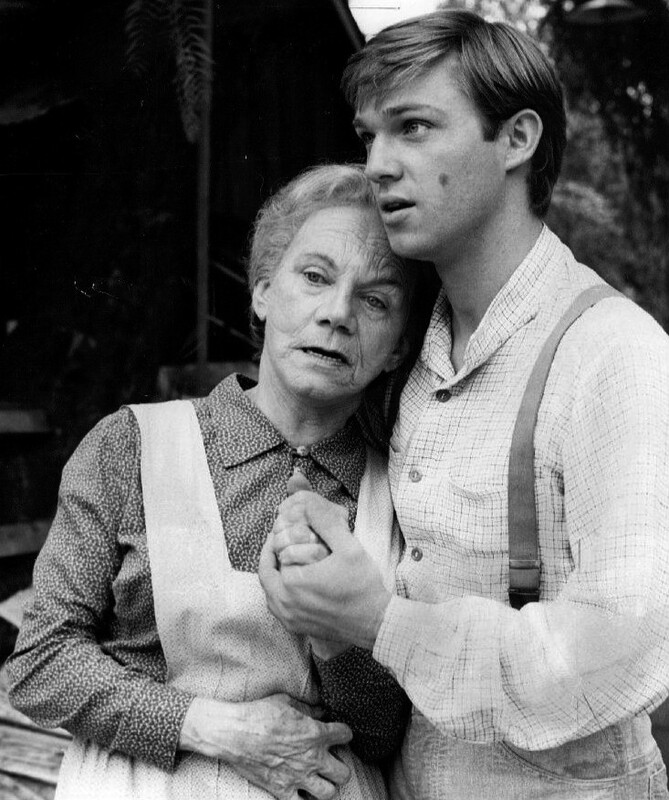 The still image, from the tv series The Waltons, was sourced from the Wikipedia entry on The Waltons linked in the text. The quotation and image appear for educational and historical purposes. All intellectual property therein belongs solely to the lawful owner, as applicable. Periodically in the history of brewing one sees a call or recognition, they are sometimes hard to tell apart, of a new kind of beer. In the history of British beer, this probably starts early 19th century, when brewers and observers are starting to say, people want a new kind of porter, less aged than before, less “hard” than previous generations liked. This meant, less acidic, in general, but probably too less smoky as the wood-kilned brown malt of porter became a lesser component of the mash in time. From then on a succession of statements regularly appear in informed circles calling for a new beer. First pale ale gets the treatment, due to its astringent, non-satiating character by comparison to rich mild and strong ales. Then one reads that English ales of any kind are too strong, too “soporific”. Notice is taken of German and Bohemian lagers, their comparative low alcohol and pleasant taste – despite some concern with “garlic” flavours or the pitch used to line the casks! This focus on lager, while it did not immediately change the mainstays of British brewing (mild, pale, strong ales, porter), had an effect nonetheless by lightening and clarifying British beer. Less hops were used than formerly, as attested, say, by Parliamentary hearings in the 1890s. After 1900 a focus on “non-deposit” beer commences, and the long slide (ascent?) begins by a replacement of bottle-conditioned ales with filtered, force-carbonated beer, useable to the last drop as often advertised in Edwardian times. In the 1920s and 30s, calls are made, e.g., by the Swiss-based inventor of the cylindro-conical fermenter, Leopold Nathan, for abandonment by U.K. brewers of mixed yeast cultures, which in fact happened finally. Earlier, lager brewers achieved this under similar scientific influence, both on the Continent and in North America. This, and the fact that few beers were long-aged by this time, meant a Brettanomyces signature ceased to characterize most beers of any class. Guinness continued to offer a trace of it via continued use of a small amount of wood-vatted stout, but this is now ended. This technological progress continued in North America from the 1970s – at the industrial brewing level – through periodic campaigns for light beer, dry beer, ice beer. All these were seen as improving the basic palate of beer, or what might be termed the beer experience, even though in many cases the net effect was arguably to reduce beer’s sensory impact and character. Then the beer revolt started: The Campaign For Real Ale (early 1970s), the Society for the Preservation of Beers From the Wood (1960s), the American craft brewing phenomenon which is now world-wide (from mid-1970s), the seismic impact of Michael Jackson’s beer writing and journalism (from 1977), not to mention the sizeable impact of home brewing in the U.K. and North America on public tastes and perceptions of what beer could be. Hence, from the 1970s and despite more than 100 years of ceaseless promotion of the new and improved, a turning back occurred. This was due simply to the fact of recognizing that beer’s palate as handed down for centuries was in danger of disappearing more or less. It was perhaps too a sign of a maturing society, a “greening” of a kind seen in many other areas of society from fashion to music to politics. Yet, the scientific impetus toward an improved beer or brewing techniques has never stopped. Today one reads of innovations patented by a large international brewer, AB InBev, which may eliminate boiling the wort to make beer, a process designed to save energy and money. Advanced software makes the process of brewing more predictable and reliable. Materials and equipment are ever refined and improved. Continued research on hops is aimed at developing further cultivated varieties with a high bittering potential resistant to various pests, as industrial-style lager utilizes hops primarily for bittering, not aroma. Research also produces ever-newer and different-tasting aroma hops for the growing craft segment. The difference between today and earlier times is, both in the U.K. and here until the 1970s, a more or less cohesive, identifiable scientific establishment drove the changes. Their recommendations were regularly published in their brewing journals and at professional conferences. When the “word” went out, things finally changed, whether with regard to pasteurization, no-deposit beer, or anything else industrial science deemed necessary for the future. It’s different now because the industry is more international than ever, there are many more types of beer sold than before, and the market has demonstrated in part an intention to return to earlier practices. This is a cultural trait science has to contend with. Indeed it is more than happy to do so, an example is the production of an intentionally-cloudy beer, the Belgian-style Blue Moon, say, that is pasteurized and shelf-stable. Science ensures that the Goose Island IPA you get in Toronto tastes like the one made at the original Chicago craft brewery, or close enough, and so on. So, while the advances of technology continue with no less impetus than in the past, they aren’t as easy to glean or keep up with as previously. Much research now is conducted in-house, and is protected by an increasingly flexible patent system. The system is more opaque, it’s not a question of subscribing to a few journals in Britain, America, and Germany to know what is going on. In the 1870s, Britain was just starting to develop brewing science expertise. Dr. Charles Graham among numerous others was a key figure, as I explained earlier. As a highly-trained scientist, he saw an opportunity to educate “practical brewers”, which was almost all the brewers in the U.K. As he pointed out in the extract below (via HathiTrust) he had never seen a thermometer used in British brewing. He developed a large consulting practice and through that influenced his generation of brewers to adopt new methods and even envision a new beer or beers. Below, in his last lecture from the Royal Society of Arts’ Cantor Lectures re-printed in a journal devoted to the practical needs of British industry, he called for new types of beer, and a new type of taxation to accommodate them. In a word, he wanted the freedom to use non-malted materials including “British gum”, a starch derivative that was used as a thickener in various industrial applications. It is probably similar to today’s dextrin malt and similar products. In fact, the tax changes he wanted occurred, the Free Mash Tun Act of 10 years later gave the right to use any cereal adjunct in brewing. Graham hoped to see two new forms of beer emerge, not to replace all existing forms, of which he was a proponent in some cases – he said he liked a glass of “Burton” – but to enlarge the range. One form was a carbonated, dry, strong beer he said would resemble Champagne. This hasn’t really happened though. Lager did emerge for the U.K. market that was similar, but staying within an average gravity range, 5% abv or so. Modern U.S. malt liquor – one form was marketed as Champale from the late 1930s – may be an echo of his Victorian desire. The second form he proposed was something similar to contemporary German lager, relatively low in alcohol and rich-tasting, he meant a beer that would resemble Bohemian lager or Vienna lager, say. He stated this form would continue to be top-fermented – ale in English terms – but resemble these lagers otherwise. Modern Kolsch and some Alt Bier are examples perhaps, or early Molson Export Ale in Canada, developed in the first years of the 1900s. Broadly speaking the triumph of lager and, to a degree, 1970s keg ales and stout validated his predictions although these forms were a kind of blending of the two he proposed: dry and fizzy like his strong Champagne-type beer, but not much stronger than the typical Bohemian and German lager in his time. Henry Stopes wrote an influential book on malts and malting in 1885, reciting some useful history starting with observations on malting and kiln fuels by brewing writer Thomas Tryon just ahead of 1700, when porter starts its efflorescence. Stopes accurately resumes 200 years of history in the practice of kilns and fuels, and gives this summary (via HathiTrust, as the next extract). Essentially, he advises and encapsulates best practice as using the best coke or anthracite coal to heat malting kilns. By stating that kilns “of common construction” should not use common coke, bituminous coal, lignite, straw, brushwood, and peat, he is telling you that the flavours these impart to malt dried with their heat are not acceptable. In contrast, anthracite, sometimes called stone coal, and best coke, imparted much less taste to the malt. The reason is they burn with almost no smoke. The sulphur, think the bad egg smell of coal gas, associated with softer coals are largely by-passed with this cleaner-burning form of carbon. Anthracite has a very high carbon content, better than 90% depending on the mine location, seam, and geologic factors. I remember handling such coal, physically with my hands, from a long-disused bin in my grandmother’s home in Montreal. Even in the 1950s electric heating had replaced Nova Scotia’s famed hard coal. Where the coals were cracked or rubbed they looked like a black diamond. 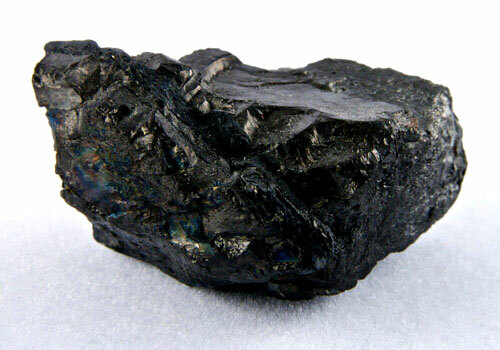 In Britain, anthracite in commercially useable form was found in Wales and almost nowhere else. 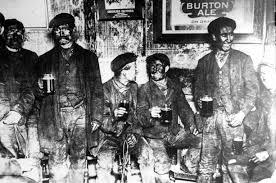 Most coal used was bituminous, and this lead to serious problems with killer fogs as they were called until the pall literally lifted after the 1950s. Kilns of common construction meant the fuel was burned in a brazier or open floor arrangement whereby the smoke penetrated the malt. By end of the 1800s other kiln designs had been patented to make the heat indirect. But before 1885 this was the exception not the norm, hence the best maltsters – it could not have been every one in practice – used hard coal or coke to minimize the imparting to malt of secondary odours. The main exception was the preparation of brown and amber malt for porter, where various forms of hardwood were used: oak and beech, primarily but other woods are recorded or can be inferred e.g., alder as I’ve discussed earlier. So, assuming pale malt was dried with fine Pembrokeshire coal, the resultant malt would taste clean and sweet, not a hint of smoke. Correct? Well, not exactly. Here are two ways we know this, or rather three. I will say, there is a certain smell from burning coal. It is not unlike wood, where you get up on a cool morning and can tell from the smell that a neighbor has kindled a fire the night before. It is like that, but it has a distinct smell to it. Others have referred to a sooty or earthy smell, and I recall it from the bin on Esplanade Street in Montreal. Sometimes too you hear reports of a faint sulphur note, as even good anthracite with its hard blue flame emits these odours. So was an element of pale ale flavour this note, not the frankly smoky taste of burned hardwood but still something, well, carbonized? What better analogy than a London pea souper to know what much English beer tasted like? Nor did Graham limit his observations to porter, then in decline in London. Graham knew very well what malting was, what all forms of beer were: he was a consulting chemist to countless breweries and an acknowledged specialist on beer at the time. The third way I know what coal scents in malt taste like is, I once had a whisky from the 1930s, Old Parr, a bottle given me decades ago from the cellar of a deceased relation. It had exactly a hint of my grandmother’s coal bin. And so here is yet another factor, with Baltic Memel wood, mixed yeast cultures and Brettanomyces, and minimal mechanical cooling, to consider when deciding if a given brewing recreation matches historical example. The saving grace is, probably some recreations will if only because of the great variety of beer types, flavours, and producers then. Some malt did issue from the newer, indirect heat kilns. Some beer perhaps was aged long enough for residual “creosote” odours to dissipate. Some perhaps used imported malt, and Graham adverts to German practice which he knew well as he lived in the country for some years. Note in the first column of his above account that when tasting Weiss beer in Germany, made from air-dried malted barley and wheat, Graham thought the taste “raw, uncooked”. Would he think all our craft beer today tastes that way, including all historical recreations except perhaps for some porter…? This should incline us all, not to cease trying to duplicate the past, but to remember the many factors that make its perfect recapture a daunting effort. But it is still worth trying. Obs. It is remarkable how often sulphur/barnyard, not the most appealing of odours, come into discussion of beer palate. It can come from the water, famously of Burton, from a precursor in very pale malt, from hops, from Brett, and from some fuel used to dry malt. Modern brewing has sought, successfully, to avoid these effects, yet craft brewing has brought them back in an attempt to create the different and sometimes the historical. It shows how relative palate really is. Note re first image: This image of anthracite coal is from an Indian exporter, sourced here, with interesting technical data on composition of different qualities offered. These appear of Chinese origin. The above creature is a Cantor’s Giant Soft-shelled Turtle. We write about drinks and food here, not zoology. 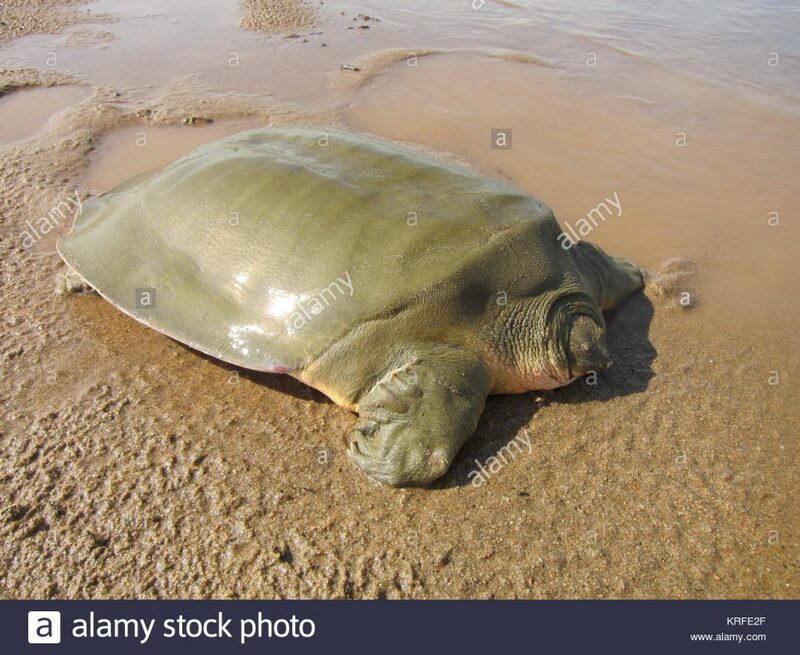 Albeit of some general interest (if not charm) what possible relation can this lugubrious animal, whose beat is the mudflats of Southeast Asia, have to the area of food and drink? A putative connection to a meal is obvious, at least if one is familiar with Victorian dining predilections. But don’t worry, I’m not interested in eating turtles. I’m interested in whom the species is named for. The Cantor named is Dr. Edward Theodore Cantor. Who was this gentleman? He was a surgeon in the Indian Medical Service in Bengal, in charge of a lunatic asylum among other duties. He lived from 1809-1860. He was an amateur zoologist, and found time to publish numerous books on the subject. His writings were important enough to form the basis for later classification or understanding of some unusual species, including fish, hence his moniker in the name of the turtle shown. Alright, that’s good to know, what else? This Cantor is the one who founded the Cantor Lectures, an influential series of talks held by the London-based Royal Society of Arts. The lectures concerned matters of industrial technology and ranged on subjects from gutta percha to electricity to … brewing. On his death Dr. Cantor made a bequest of £5000 to the Royal Society of Arts, to be applied as seemed appropriate to its president. This figure decided to create a series of lectures on industrial science, memorialized through the name Cantor Lectures. The money was invested in Indian railway bonds and the interest was used to pay for research and presentation of the lectures. The fund was later broadened by bequests from others. Dr. Charles Graham was an influential, late-1800s figure in the emerging field of brewery science. His well-remembered chemistry lectures were given in 1873-1874. Parts have been published in various sources and are sometimes quoted by contemporary writers on brewery history, including me. Soon I will look at further things he stated, ranging from the presence of coal odours in kilned English malt to what the future of beer looked like to him (he got it partly right). But first, I wanted to know for whom the Cantor Lectures were named. It was surprisingly difficult to find this information. Generally a few keystrokes does it, but not in this case. 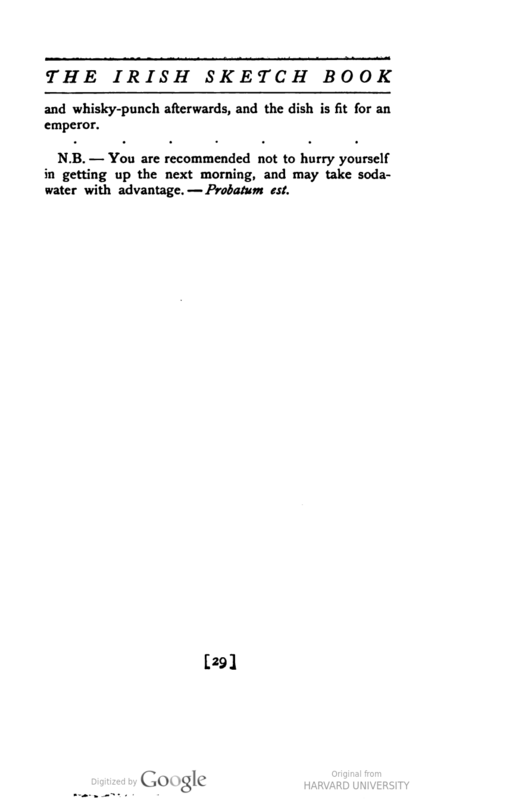 Finally, I found the answer, in Henry Trueman Wood’s 1913 A History of the Royal Society of Arts. Read here, from p. 450. Cantor was of Danish extraction, yet the surname seems to tend to other origins. The little biographical information online, see here, suggests he was of Jewish origin. Those familiar with the broad outlines of 19th public science may know the name Georg Cantor. He too had Danish roots but was variously described as Russian and German. This Cantor was an eminent mathematician, famous for originating set theory. He encountered some difficulty from established professional quarters due to the novelty and daring nature of his theories. He was periodically hospitalized in a sanitarium, and his professional work suffered. He died in Britain at the end of WW I in penury and semi-obscurity, nonetheless even before his death his importance was recognized including by Bertrand Russell. Since then his groundbreaking innovations have been fully recognized. This lengthy Wikipedia entry offers some good information on him. He has also been the subject of full-length and other biographical treatments. Now, this Cantor’s family was schooled in the Lutheran church. Some biographers consider though that Georg Cantor was of Jewish, possibly Sephardic, origins. I mention this here simply because I’m wondering if he was related to the Cantor for whom the RSA’s lectures were named. Perhaps he was a brother, or a cousin. It seems unlikely, given the Danish connection, that sharing the surname was coincidental. I don’t know whether the Cantor Lectures continue. They did at least until WW I, but I’m not sure if they were revived after. The series was inaugurated in 1864. The first subject, as Henry Trueman Wood acknowledges, seemed rather wayward for a series anchored in industrial science: the naval laws of war. But as Wood notes, the American Civil War was ongoing, and the topic impacted an understanding of naval warfare. After that the lectures stayed within the ambit of industrial technology and science albeit ranging widely therein. 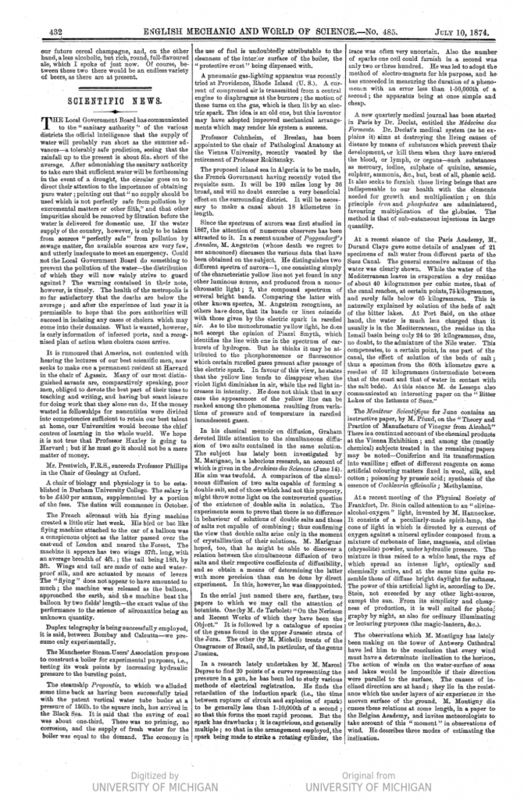 Most of the lectures were published, sometimes in part, and not just in the Society’s Journal. Charles Graham’s brewing lectures were published in full not long after presentation in English Mechanic and World of Science. I’ll return to them soon. As a follow-up to our last post, we are looking at a sampling of bock beers available in the winter resort of Davos-Platz, Switzerland, in 1882. They were reported by “J.E.M.” Muddock, a well-known travel and fiction writer who specialized in covering parts of Europe for his English audience. Such data might seem unusual for a Baedeker-type tome – it’s as if a page from a brewing journal ended by some digital error in a Frommer’s guide – but, as always, there was a reason. Davos-Platz was billed then as an English wintering destination, one adapted especially to the needs of consumptives. With a resident population of British doctors and nurses in town, analytical data on drink and food was felt useful to them. Davos of course is famous for winter sports but it was the dryness of the climate that attracted those afflicted with then-incurable tuberculosis. The source was a chemist whose name and affiliation in Manchester, long a node for science research, are set out in the introduction. Erlanger and Ulmer bocks were, I calculate, 1062 OG, just under the modern start point for bock (German law) of 1064. The beer in the centre column had a OG of 1075, ahead of the modern gravity baseline of 1072 for the Doppel iteration, despite the fairly low abv one may note. 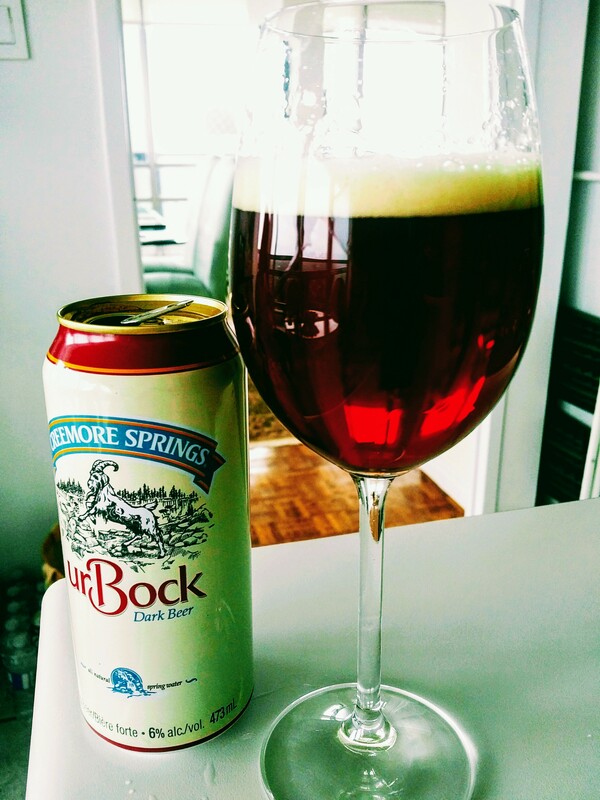 The modern Creemore ur-Bock in Canada is lighter: perhaps 1060 OG, 1014 FG, and (anyway) 6% abv. Two “Ulmer” bocks are still made, by Bauhöfer, quite possibly the source of the Ulmer bock in the table. The brewery started in 1852 in Baden-Württemberg. If you check this link for Muddock’s book, some interesting additional data is given including for a Manchester draught bitter and other beers. This helped doctors when considering what their patients might drink, it provided context, or did in the framework of Victorian medicine. A bottled pils beer is interesting at 1007 FG and only 3% abv, sounds like a current light beer I’ve seen here but the name escapes me for a moment. Muddock’s tables certainly provided a nice Anglo-Continental sampling, focused yet diverse. The Ulmer and Erlanger bocks might have been similar to the Creemore but more malty and heavier given their FGs, especially Erlanger. I’d think possibly too more bitter, but hard to say. 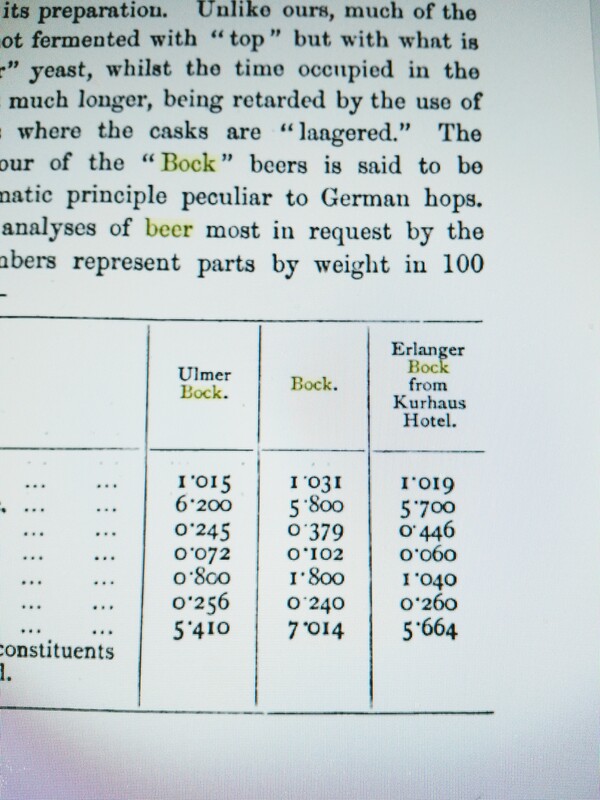 The anonymous bock, with a FG of 1031, would have been a very rich beer indeed. Like they used to say, liquid bread. Above is the Creemore urBock. As many will know, Creemore Springs is a pioneering craft brewery in Ontario that was purchased by Molson Coors a dozen years ago or so. Bock is one of the brown lager class of beers,* of course so is Munich Dunkel. Some bock is blondish, Maibock, say, but at least in North America bock connotes the dark type to most. Schwarzbier, the black lager of eastern Germany, is yet another dark lager. So far pilsener seems resolutely blonde, but having just read in Great Lakes Brewing News of an India Pale Kölsch, I don’t rule out a “line extension” in that area too. Extending traditional styles seems the watchword of the day. Sharp eyes will note the rather compressed and not entirely accurate story of bock beer on the back label. I’d prefer they get the story right, but the beer is the thing, so on to that. Creemore ur-Bock hasn’t changed much over its history, which pretty much goes back to the brewery’s origins. It’s lightly malty, in a mocha coffee-like way, with a moderate bitterness. It is lighter than good German examples but all-malt and a credible interpretation. I find it improves by being kept cold for a few months. When new, as for the other Creemore lagers, there seems a slightly raw fermentation note, perhaps DMS, or something else, I’m not sure. But kept cold for eight weeks or more the beer improves noticeably, imo. It’s filtered but not too tightly as a light haze is evident if you pour it in one motion and leave an ounce in the can. The ounce is quite turbid with small particles of yeast or other flock. This permits, I think, a further very slight fermentation, or “aging”. Assuming the residual yeast count is not high enough for that, still the beer gets better with cold-storage, I’m not sure why. There aren’t that many of these original bocks in Ontario. Some are flavoured, or add a non-barley grain, or don’t have quite have the right taste. Beau in eastern Ontario has one in the stores now that is very credible, it makes an interesting A/B with Creemore ur-Bock. Creemore’s could be a little more assertive in taste. It would nice to see a Doppel version, too, Molson Coors should do that. It should also make the ur-Bock available year round. A seasonal release is a nice thing historically and sort of nostalgic, but today beer styles have lost the seasonal connections most once had. Spread the wealth. I’ll stock up this week to put a few in the fridge, as before long none will be found at the LCBO or Beer Store outlets. See a follow-up to this post, here. 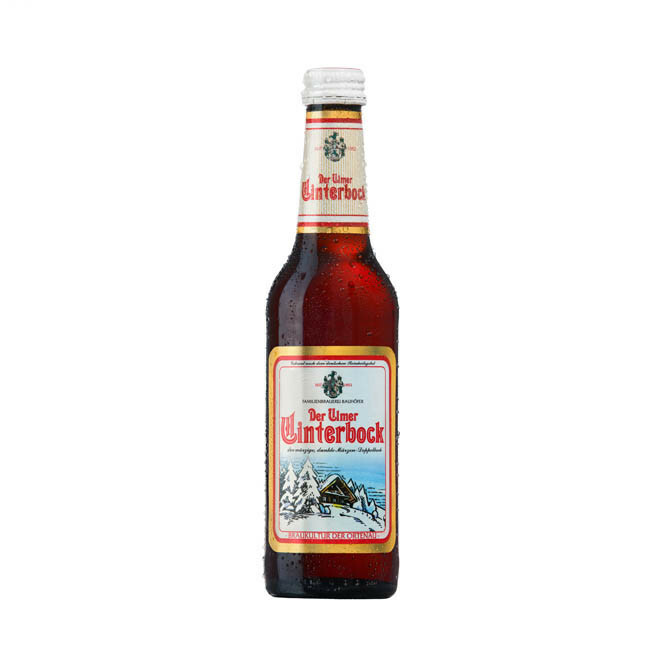 *Weizenbock is brewed with wheat and a top-fermenting exception to the lager norm for bock. I was in Barcelona a few years ago and investigated the beer scene. Reports since that time indicate it has flourished greatly, but even then there were two or three craft breweries and of course the products of the large corporate breweries. The problem was, I never could visit the craft places: during the day when touring on foot they were never open, and after dinner we didn’t seek further entertainment – the day was long enough. I bought some Spanish craft bottles in a local shop and thought they were good. For the most part Estrella Damm, the home town beer, did the job when beer was wanted. Damm was founded by a peripatetic Alsatian, August Damm, in 1876, and continues to this day. Moritz, a venerable brand that lapsed but was restored to the market a dozen years ago, was an option although not nearly as good as Estrella, in my view. It seems (according Damm’s website) that the Estrella has a rice addition, but it’s a Munich Helles style, maybe a bit lighter. I bought it in Toronto once or twice, and need to give it a further try. I read somewhere that Damm has issued or will a IPA, called Complot IPA, but can’t find much on it. Maybe it will be available at the Estrella Damm Gastronomic Congress being held May 15 in Toronto, see this post for details. A famous Spanish chef will be cooking dishes with or to accompany Damm’s beers: all the makings of a good evening. Some may think the gastronomy of a society that is thousands of years old can’t really incorporate beer when beer’s writ only runs from the mid-1800s. This is like saying Ontario chefs shouldn’t try to pair food and Ontario wine since Ontario wine, especially the quality end of it, is hardly 30 years old. Once beer implants it takes its place in the culinary scene, and let the chips fall where they may – and not just potato chips. Beer is as Chinese a drink today as anything else in China and performs wonderfully with most Chinese cuisines, at least in my experience. Its implantation dates from the turn of the 19th century. At the same time it is undeniable beer has a long taproot in Iberia, one that withered for many centuries but is lately renewed. Early Celtic settlements brewed beer. When the Romans came and implanted a vinous culture, the older cereal-based beverages declined and practically disappeared. I say practically because, I don’t rule out that isolated settlements continued to brew, perhaps at home or on a farm. An academic in Colorado, U.S.A., John Carlyon, has performed valuable research investigating this much older beverage history, you can read about it here. But even before this work the history was broadly understood in learned circles. The Oxford man and Victorian travel writer Richard Ford lived in Spain for three years and studied the land deeply. He noted in one of his collections, see p 144, that beer had become “small” in Spain, exemplified by a mixture of lemonade and beer drunk iced. But he noted that in a much earlier period both beer and ale – he cites different Latinate terms for each – were commonly consumed. The trouble started, he said, when the Romans poked fun at local beer drinkers, as they had in Gaul. Can it be that the success of beer’s reintroduction, and recent craft efflorescence, are due at least in part to an ancient folk memory, even subconscious? Did a genomic pleasure-centre in Spanish brains, formed millennia earlier when beer was mother’s milk, re-awake when fresh cereal beverage coursed through the system? A romantic will say yes – maybe even a psychologist. It is satisfying to think so, anyway. In 1958 the Canadian chef and cookery writer Jehane Benoit wrote a book for Dow Brewery on dishes cooked with beer. She gives a recipe for the old Spanish puchero, a kind of soup-stew, that uses beer. This dish was remarked on by travel writers in Spain in the 1800s although I could find no statement that beer was an ingredient. So how did Mme Benoit know the beer version was traditional? The earliest written record of this ancient and honorable beverage appears on a Mesopotamian clay tablet of several thousand years before the Christian era and shows it was used in cooking as well as a beverage. The recipes you will find in this book have been tested by me and tasted by many who were always pleasantly surprised; no wonder, since the recipes are for the most part traditional and belong to the everyday family cooking of many lands, Germany, Spain, China, England, France, Belgium, Italy and even America. She was a highly-respected author, well-educated with advanced training in food science. I don’t think she would misstate the situation for commercial purposes. But if she gilded the lily on beer dishes from non-beer lands, it doesn’t matter really. Recipes have their final merits on the plate, if it works, it works. On page three of her book, which you can read in full online, her recipe appears for the puchero. She spells it punchero, which may be an alternate spelling, or a misspelling. The dish as she presents it rather resembles an eccentric carbonnades flamande. This makes sense when one recalls the Spanish once ruled Flanders and a long interchange of people and ideas ensued. That is why the Belgians make a version of caveach, say (spellings vary). So maybe early puchero did use beer, perhaps in a few isolated settlements that still brewed, long enough anyway to send the dish to what is now Belgium and French Flanders – and maybe Mme Benoit in Montreal, Canada knew all this. Anyway, let’s see if beer works in the dish. I’ll make it in a short while and give my impressions.